Team Evotri: What Powers David Millar? 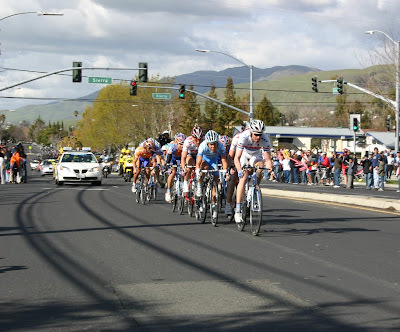 David Millar, leading the pack at the end of Stage 3 at the 2008 Tour of California. Image source. Our very own Simply Stu recently found the only way to catch up with wickedly fast Team Slipstream-Chipotle rider, David Millar - a one-on-one interview in which Millar explains how training and racing with Power has impacted his performance. "You can suffer a lot in training; you see pretty good numbers, and it's kind of consistent, but then you get to the races, and its just a whole other world. You're talking about numbers you'd never see in training." Click here now to listen to the rest of this fascinating exchange.